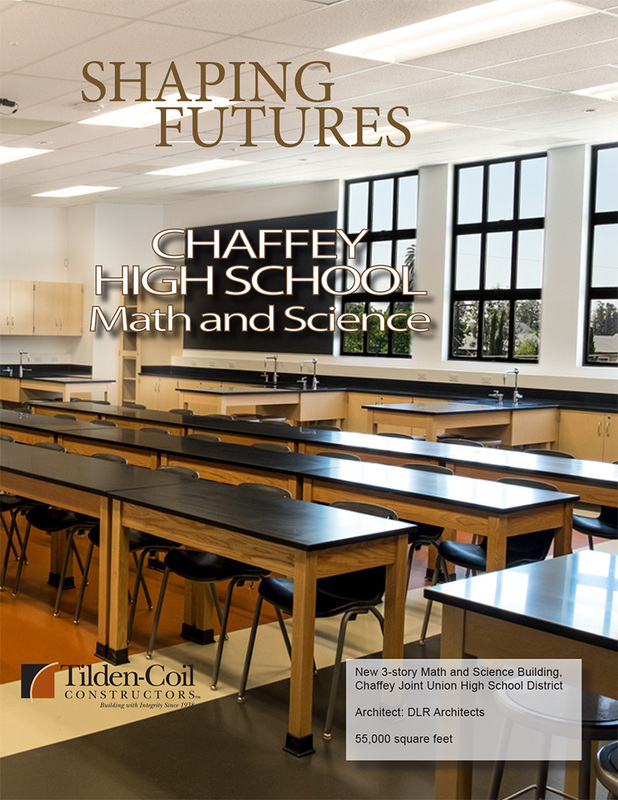 This new Math and Science Building for Chaffey High School is a key element of the facility master plan for the Chaffey Joint Union High School District, and in partnership with Tilden-Coil this new building has been realized! With input from students, teachers and parents, and the public support of Measure P, the new 55,000 square foot, three-story, $20 Million, Math and Science Building was completed and ready to receive students for the 2017/2018 academic year. A structural steel frame and exterior plaster finish envelops eighteen state-of-the-art classrooms and twelve science laboratories supporting student learning outcomes in STEM. Honors and Advanced Placement courses in calculus, integrated math, biology, chemistry, physics and anatomy/physiology will now be delivered in an education setting that better supports student learning outcomes and excellence.